Thai Kickboxing Fitness Group Personal Training is a 90 minutes long and combines martial arts like boxing, kickboxing, Thai boxing and high intensity interval (HIIT) training. You’ll have a great time getting fit, making friends and learning the correct technique to execute some powerful moves. Use promo code (TrialTKF8) to get your trial session for just £8! This is not a boxercise class. We teach proper kickboxing, boxing and Thai boxing techniques to make sure our clients are stay injury free. We are not a kickboxing club but everyone is welcome to come and train and have fun. Whether you are a beginner or advanced we can help you develop your fitness, confidence and self-defence skills. All sessions are designed for individuals and their own training goals. We can achieve this by keeping the numbers down to less than 12 people per session. What are the benefits of Thai Kickboxing Fitness? One on one attention – we spend a minimum of 3 minutes with each person, depending on how many people attend the class. How much does Thai Kickboxing Fitness cost? Beginners trial session £8 – we hold a trial session for just £8 on Tuesday 7 PM Longwell Green BS30 7DA, Wednesday 6 PM Redland BS6 6LE and Saturday 10 AM Bristol City BS1 4SB. Book your space now! – Spaces are limited to 12 people. Block of 4 sessions - 6 weeks expire. Block of 8 sessions - 6 weeks expire. Group Personal Training start from £13 – individual group sessions are £15 each but you can reduce this cost by block booking your sessions. FREE mouth guard and groin guard after your 3rd month. FREE pair of shinguards on your 9 month of training. We are here to train and educate you and giving a priceless experience, getting fit with martial arts is fun and very rewarding. Being more confident and skilled will take you beyond fitness! 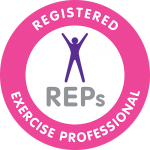 Your membership is more than training, we provide a service and it is tailored to you! How do I book and pay for a Thai Kickboxing Fitness trial session? Your trial session is booked – all that’s left to do is turn up and have fun! After you have had your trial session, you can book sessions whenever you like through our handy timetable booking system.